Location: This stone lies adjacent to a household gate on Skirethorns Lane in Threshfield. This stone has been rudely transported some 5 km from its rightful home. It is embedded in tarmac, with about a metre showing above the ground. 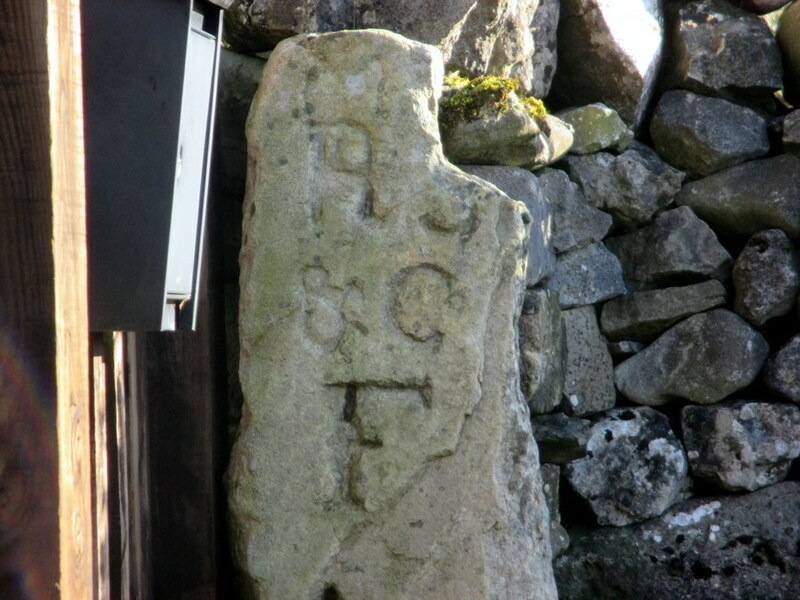 It is very similar to a stone a photograph of which appears opposite page 53 of Raistrick's Lead Mining in the Mid-Pennines, and a drawing of which appears on page 13 of The Mines of Grassington Moor (see references) that marked a lease on the New Ripon Vein. It is also remarkable similar to Meer Stone 56, which has the same inscription written in the same font. It is probably associated with Robert Stockdale & Co who held a number of leases in the 1770s. 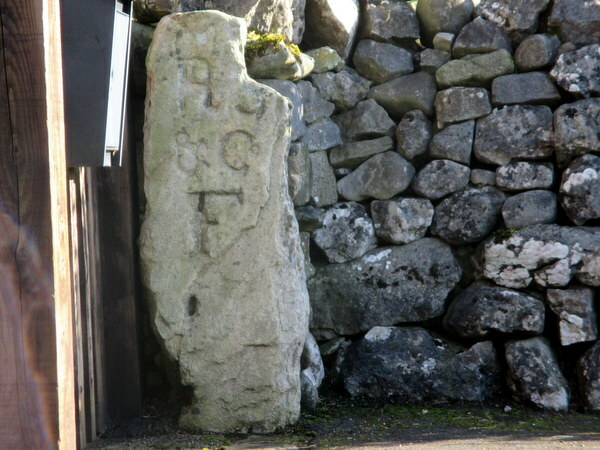 The 'F' indicates that it is a founder's stone. The 'M' at the top of the stone appears to be a later addition.